Activities that we undertake in the process of regeneration of damaged turbochargers. Damage assessment and regeneration cost. After receiving the damaged turbocharger from the customer, we perform initial verification to determine the degree of damage. At this stage, we estimate the total cost of regeneration of the turbocharger because we are able to determine which components are eligible for replacement. 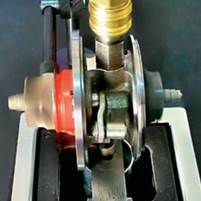 The turbocharger is placed in a hermetically sealed chamber with its own water circuit. This process allows us to remove any dirt without disturbing mechanically cleaned elements. 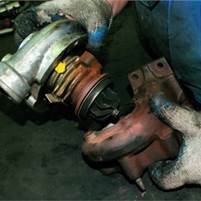 At this stage, we get rid of rust from the turbocharger body and other elements such as the collector. We grind the cast iron elements while the aluminum ones are cleaned with glass balls. This procedure is called skulking. In the selection of spare parts, the most important issue is to take into account the size of the damage. 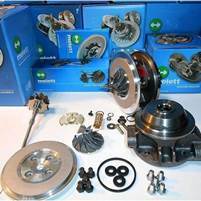 Full regeneration requires replacement of rotors and not only bearings and seals. Professional services such as ours only choose proven, branded parts. In some cases, it happens that spare parts are damaged during transport. Mounting such a part may lead to very serious, irreparable damage to your turbocharger. Therefore, before installation, we make specialized measurements of each part in order to eliminate the risk of permanent damage to the turbocharger. 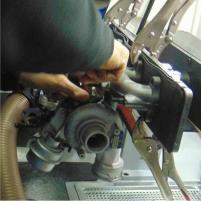 Turbocharger assembly is carried out in conditions of special purity with due diligence. Theoretically, the operation is very simple but in practice requires huge concentration. In some cases, it is necessary to use special preparations. Are the seals working properly? Checking the tightness takes from a few to several minutes. During this time, we install the core on a special stand with oil lubrication. During the test, we drive the roller to check that the seals are working properly. 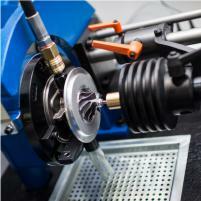 For balancing the turbocharger, we use specialized CIMAT CMT 48 TR and CIMAT CMT 48 VSR machines. 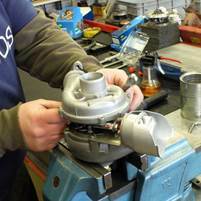 Thanks to the highly developed technology, the measurements are very accurate which translates into silent operation and extends the life of the regenerated turbocharger. We specialize in balancing turbines in the field of very high rotational speeds, which distinguishes us from the competition. 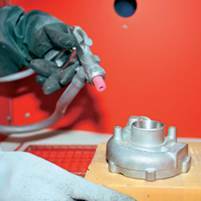 At this stage we set the operation of the bleed valve or variable geometry. 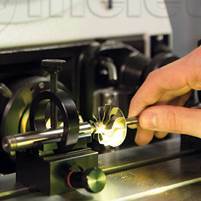 In the case of variable geometry, we use a pneumatic TURBOTEST measuring station. These are the last steps in the entire turbocharger regeneration process.